Sconser is the perfect centre for exploring the Isle of Skye & Raasay. The Isle of Skye is the largest of the Inner Hebrides off the west coast of Scotland, and its landscape is distinctly Highland – lochs, heather-clad moors and breathtaking mountains. 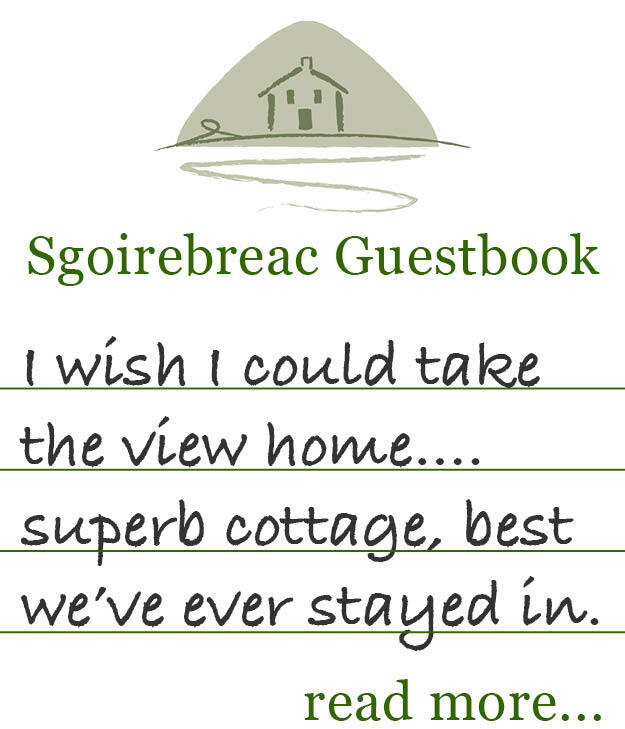 The island is 55 miles long and by choosing to stay at Sgoirebreac you will not spend your days covering old ground – a different road and new adventure for each day of your holiday! The area around Sgoirebreac Cottage is one of mountains, lochs, seas and is also rich in history. There are mountains and crags for hill walks and mountain bike trails, to take your breath away. Skye is a favourite with hill walkers it boasts an impressive 20 Munros – most popular is the Black Cuillin, 2½ miles from Sgoirebreac Cottage, it offers climbers the greatest mountain experience available in the UK. Underneath the Black Cuillin lies Loch Coruisk, only accessible by foot or boat – with its reflective waters and mountain scenery it’s considered to be one of the most beautiful sights in Scotland. For less strenuous activities there are woodland trails, pony trekking, quaint villages and great film locations to explore – Highlander, Prometheus, Snow White, The Huntsman & Stardust were all filmed in the area. When you return from an invigorating day out, thankfully only a few minutes walk from the cottage is The Sconser Lodge Hotel, a former shooting lodge located in the village, it has a lovely waterside restaurant plus a cosy bar. For a wider choice, the famous Sligachan Hotel is located 2½ miles away, on the road to Portree. In the Mackenzie Bar you can sit and enjoy some local real ales or selection of fine malts beside the log fire. You will also find a large family bar, “Seumas’s”, where delicious food is served all day. Local mountain biker Danny MacAskill (from Dunvegan) returned to his native home of the Isle of Skye to take on a death-defying ride along the notorious Cuillin Ridgeline. He was helped by local guides from Skye Adventure. Skye Adventure is run by Matt Barratt and John Smith. Both live on the Isle of Skye and have extensive local knowledge and a passion for sharing great adventures. They have a great group of guides working for them – all of whom are highly qualified, very experienced and great craic. Whether you’re interested in water activities, mountain or rock climbing, or something for the whole family to get involved with, Skye Adventures has it all.